If you look at food history and the culture of any country, the roots of their cuisine usually lie in local and naturally grown ingredients as well as seasonal and slow-food cooking methods. Whether you are in Italy or Mexico, or here in Korea, the backbone of traditional food rarely changes with time, keeping culinary history strong. 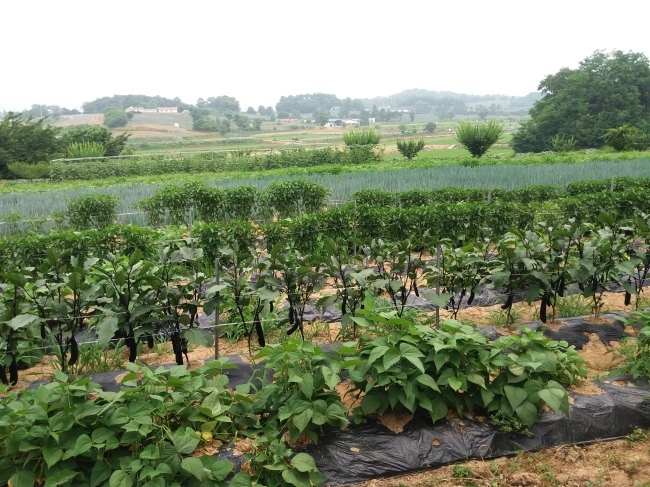 At Seoil Farm, an organic working farm and education center in Anseong County, traditional methods of Korean cooking and preparation have been preserved in a beautiful setting in farms nestled in the mountains of southern Gyeonggi Province. Built in 1983, Seoil Farm is the country’s largest “jang” farm devoted to the craft. It uses certified organic ingredients and time-honored methods. 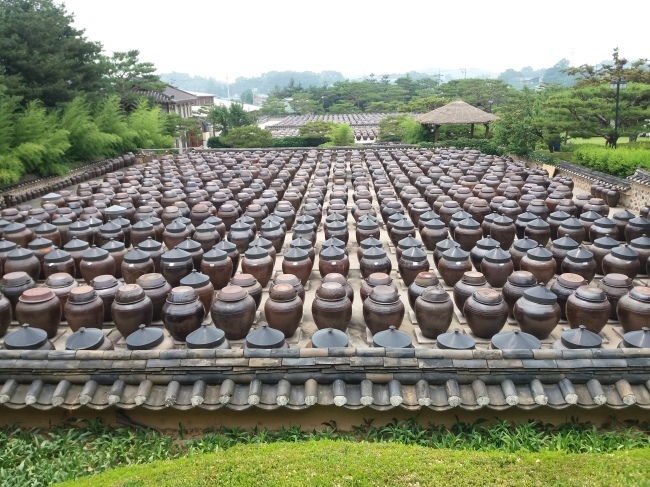 Jang, a collection of Korea’s culinary mother sauces gochujang, doengjang, and ganjang, as well as other preserved foods, are produced from seed to packaging all on the property. Essential ingredients in Korean cuisine and found in almost every dish, guests can learn about the process of making jang as well as take hands-on classes. The farm’s restaurant Solee, which serves products made at the farm, is the highlight of the visit to Seoil Farm. When you are eating at the source, literally sitting on the land where your food was grown and made, the taste is truly incomparable. 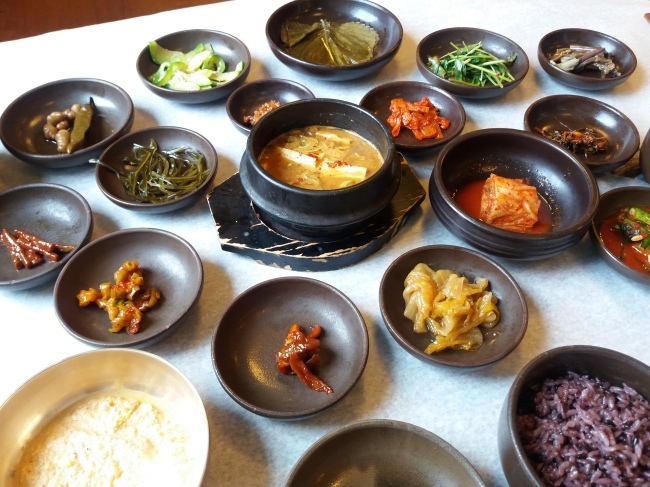 From the freshness of the pickled and fermented banchan to the homemade tofu and cheonggukjang stew, they taste as good as you would imagine they did hundreds of years ago. You don’t need to have a discerning palate to feel the lightness of the perfectly balanced and aged ganjang used in most of the dishes. The farm’s own seasonal vegetables taste like the air and earth that surround you -- an experience that no urban restaurant can replicate. If you love food and traveling, Seoil Farm makes this 1 1/2 hour trip from Seoul worthwhile. One can enjoy the whole day focused on food history in the breathtaking bucolic surroundings. Seoil Farm offers plenty of eye candy, starting with the overgrown lily pond that looks like something out of Jurassic Park and then the 2,000 or more perfectly aligned onggi pots of jang fermenting in the sun. Everywhere you look, you will see flowers or vegetable and fruit plants, making every view Instagram worthy. You will also be able to spot a team of young student farmers and staff on the farm grounds testing the seasonal crops or picking weeds under a maesil tree. If feels almost too perfect, and too staged, but the whole experience reminds one that if you take care of the environment and nature, it will grow to be as healthy and vibrant as Seoil Farm. 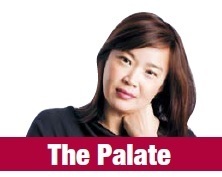 Christine Cho, a Korean-American expat in Seoul, has been eating and cooking her way around the world for 16 years as a private chef. -- Ed.